Offering students a choice of 16 programs in the allied health field, Ultimate Medical Academy has trained thousands of students in its over 15 years of operation. With the healthcare industry projected to grow through 2018, according to the National Bureau of Labor Statistics, graduates of Ultimate Medical Academy are poised for employment in one of the few sectors of the economy that is currently growing. Ultimate Medical Academy gives students the option of attending classes in Clearwater or Tampa, Florida, or enrolling in online education programs. Students at Ultimate Medical Academy receive practical, focused training in their profession of choice, such as pharmacy or X-ray technician, patient care technician, nursing and dental assistant, or spa manager. 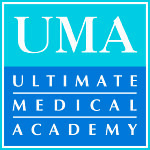 Join Today to follow and contact Ultimate Medical Academy.